Chelsea misfit striker Michy Batshuayi has reportedly become a deadline day transfer target for Everton. Guardian reporter Ed Aarons claims the Belgium international is a target for Everton on a permanent deal, with Chelsea asking for around £35million to let him go. Aarons initially tweeted that the Toffees wanted Batshuayi on loan, but it seems they are hoping to purchase him by tomorrow afternoon – the final day of the January transfer window. 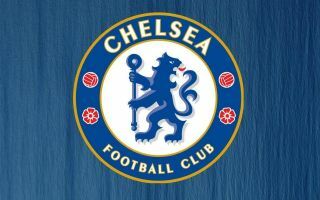 Chelsea have not given the 25-year-old too many opportunities in his Stamford Bridge career, despite him initially showing plenty of promise with the club. Batshuayi shone as a super-sub in his first season with the Blues, and ended up scoring the title-clinching goal against West Brom for Antonio Conte’s side that year. Still, he has since been loaned out to Borussia Dortmund and Valencia, despite the poor form of Alvaro Morata before his move to Atletico Madrid, and Olivier Giroud. It would be little surprise to see the former Marseille man leave this winter, and it would be interesting to see what he could do at a club like Everton. Marco Silva could certainly do with more firepower up front, but Batshuayi has shown he could do the business at Premier League level, even if £35m perhaps seems a risky amount to be paying for a player who really hasn’t hit form for a while now.